Around the world, trimmers are used in virtually every electronic market. Typical applications include measuring linear distance, angles or rotations in production equipment, industrial test and measurement equipment, and medical equipment. Kingtronics is one of the most popular manufacturers in the electronics industry to offer mil-drawing qualified surface mount sealed trimmers. 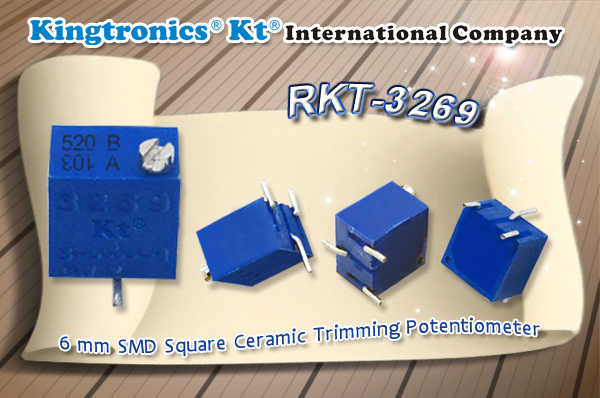 Our 3269 series product line offers the largest array of surface mount, sealed trimming potentiometers in the industry, and takes full advantage of Kingtronics core competencies in ceramics, thick-film printing, welding and brazing, resulting in reliable electronic components.